A closer look at the landscape of the most violent and bloodstained piece of land in Britain reveals not only medieval castles such as Dunstanburgh and Hermitage, but also walled towns, peel towers, and of course, Hadrian's Wall. 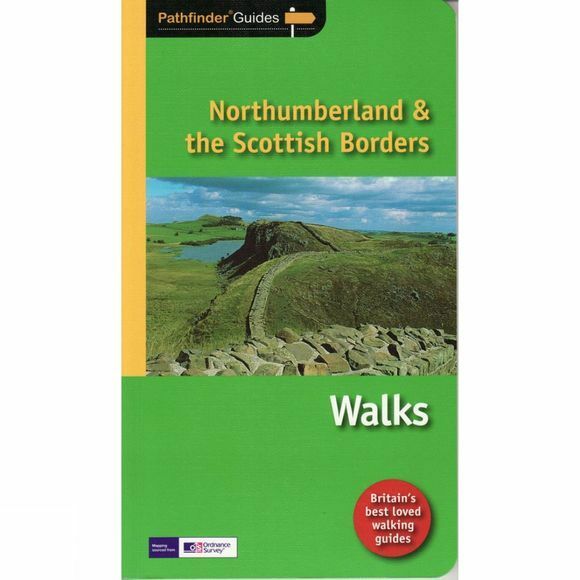 This collection of walks explores three sections of the wall, including the two best-preserved and most interesting Roman forts and most dramatic stretches. There are also bracing hill walks in the Cheviots, coastal walks along the cliffs and beaches of the Berwickshire and Northumberland coasts, river valley walks, and routes through countryside featuring woodland, lochs and reservoirs.